Disclaimer: This post is sponsored in conjunction with #BBQWeek. 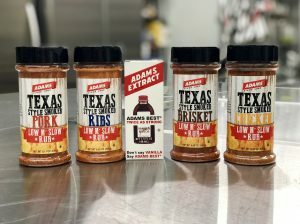 I received product samples from sponsors to use in creating #BBQWeek recipes. However, all opinions are mine alone. 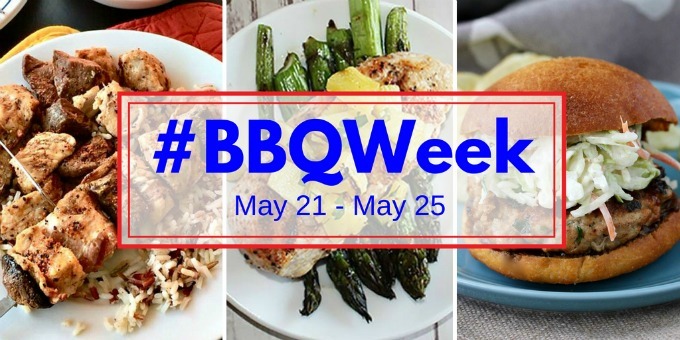 Today is the final day of #BBQWeek. 😟 Before I get to the recipe, I wanted to give a huge thanks to our hosts, Ellen of Family Around the Table and Christie of A Kitchen Hoor’s Adventures as well as our sponsors, Adams Extract and Spice, Not Ketchup and Michigan Asparagus. This event has been awesome and would not have been possible without them. 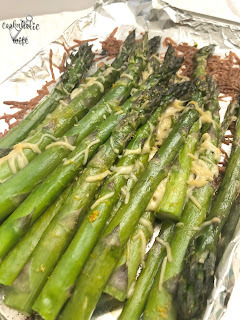 Asparagus is one of my favorite vegetables and grilling it is my favorite preparation. I decided to keep it simple and use only lemon zest, juice and Parmesan cheese to allow the grilled flavor to really shine through. 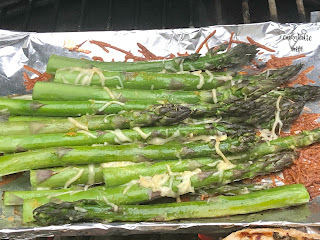 And bonus: the Parmesan that falls off the asparagus onto the tray gets nicely browned and crispy and makes its own delicious snack! 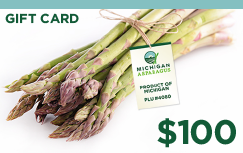 As the asparagus season doesn’t start until right before this event, Michigan Asparagus first sent us gift cards so we could purchase any asparagus at the store to make our recipes. Then, when the season got underway, they sent massive amounts of asparagus! I had to give some of it away because we couldn’t eat it all in time. They’re such a generous sponsor! Fresh asparagus is topped with lemon and Parmesan cheese then grilled, creating a quick and easy summer side dish. 1. Heat your grill to 400 degrees. Line a grilling dish with foil or make a packet using heavy duty foil. 2. Rinse the asparagus and break off the woody ends. 3. 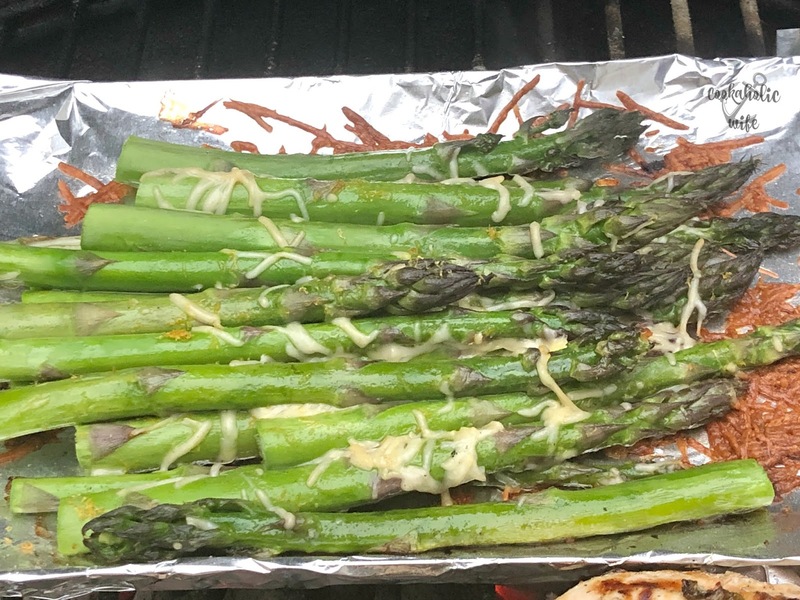 Arrange the asparagus in an even layer on the grilling dish. 4. Drizzle olive oil, lemon juice, lemon zest, salt and pepper on top. 5. Sprinkle Parmesan cheese on top. 6. 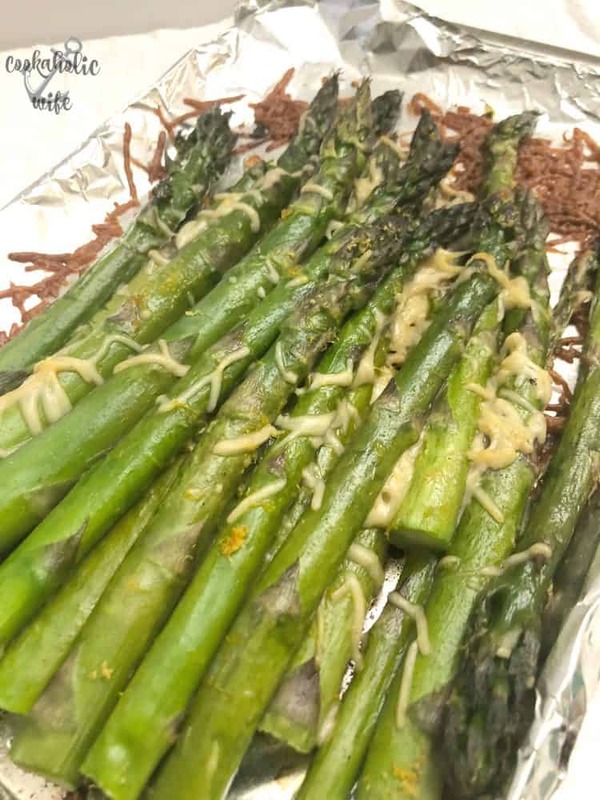 Grill for 8-10 minutes or until tender crisp, turning the asparagus spears over once. A simple and easy way to serve my favorite veggie! 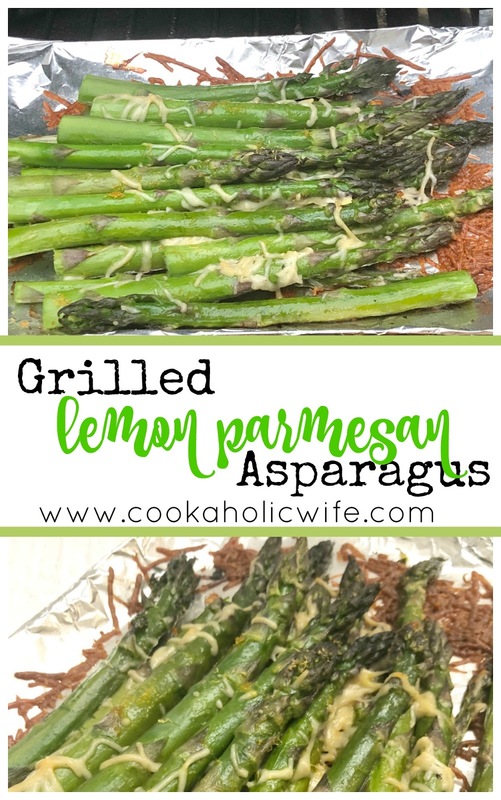 Love grilled asparagus, and adding cheese just makes it even better! Yum! I'd love this served with some grilled salmon! I love asparagus and this is the perfect way to enjoy them! Delicious! I just love simple flavorful recipes like this and Asparagus is one of my favorite veggies! Great recipe!